14.Co-operaton - "Competent International Organization"
The Convention mentions �States� alone, e.g., �States shall...�, but also generalized (�All States�, �Every State�, �State Party�) and specified (�Coastal State�, �Flag State�, �Archipelagic State�, �Developing State�, and so on). But in spite of this variety of expressions, the Convention speaks to and means only States Parties, i.e., states which have consented to be bound by the Convention (Art. 1, Subpara. 2(1)) until there is a formal denunciation. (Art. 307) Applicable law of the sea between states party to the Convention and states which are not party to the Convention must be determined according to legal sources other than the 1982 Convention. Coastal states have one of the most significant positions in the 1982 Convention. That should come as no surprise as they not only make up three-quarters of the community of nations (about 120 of 160 states), but also have an overwhelming share (over 90%) of world industry, world trade, and world population. The naval forces of the world are exclusively in the hands of the coastal states. Then, too, there is tradition: coastal states have historically had sole influence in matters of the sea. The fact that such a large part of the ocean's riches is now in the hands of the coastal states is the result of a zone system established by the Convention (Part II-Part VI) The extension of administrative power is related to protection and security interests of coastal states. As far as pollution is concerned, it is only necessary to call to mind the disastrous tanker accidents which have occurred since the 1950's. Almost every Part or section of the Convention has a direct or indirect impact or reference to the position of coastal states (See e.g. Art. 116, Subpara. (b); Art. 142), many of them ensuring that coastal states do not extend their interests beyond the limits laid down by the Convention. The Convention, which has no jurisdiction over the internal waters and ports of a coastal state, refers to �Port State� only once with respect to certain investigative and procedural powers in pollution cases and, most significantly, for cases of discharge from vessels on the high seas (Art. 218; Para. 1.) or, at the request of the flag state or the state affected by the violation, in the zones of other states. (Art. 218, Para. 2) The term Port State is derived from the fact that a state can institute investigations of such matters which have occurred outside its own internal waters, territorial sea, or exclusive economic zone only when the vessel is voluntarily within a port of that state. This delegation of power to all states, regardless of whether they have been affected by such discharge, is significant in light of the exclusive jurisdiction of the flag state on the high seas, (Art. 92) even if such investigations might be suspended at the request of the flag state (Art. 228) or of the state within whose zones the violation occurred. This establishes the principle that other states may take action against vessels polluting the oceans in spite of the reluctance or hesitation of the flag state. This global investigative machinery may have a great influence on the further evolution of the law of the sea. The interest of flag states in exercising their right of navigation (Art. 90) has always been quick to conflict with the interests of the coastal states. Whereas the former want their vessels to be able to sail the seas with the greatest freedom and the least interference possible, the latter seek the greatest possible legislative and enforcement power in order to further their national interests in the waters near the coast. Until recently, the flag state's freedom of navigation took priority over all of the ocean surface except for a small section close to the coastal state's coastline; under the 1982 Convention, however, the situation has changed. The flag state's position is affected most by three regimes of passage (�innocent passage� (Art. 17-32) through the territorial sea, �transit passage� (Art. 37-44) through straits, and �archipelagic sea lane passage� (Art. 53-54) through archipelagic waters) and regulations for the prevention of pollution. (Part XII, Sec. 5-7) Nonetheless, there is no change of the flag state's principal responsibility for and jurisdiction over vessels of its nationality. The provisions governing the topics mentioned above exemplify various attempts to strike a balance between opposing interests, e.g., (Art. 24, 27, 41; Part XII, Sec. 7). The Convention uses the term �State of Registry� in regard to, among other things, installations used for unauthorized broadcasting from the high seas, (Art. 109, Para, 3) aircraft, (Art. 212, 216, 222) marine scientific research installations, (Art. 262) or other structures and devices. (Art. 209, Para. 2) With the exception of a few pollution regulations, e.g., (Art. 212, Para. 1; Art. 222) the Convention uses the terms �flag state� or �flying a state's flag� when referring to vessels, although the flag state is always to register the vessel, (Art. 91; Art. 94, Subpara. 2(a)i) and is consequently also a State of Registry . For the purposes of this Convention, � Flag State � and � Register State � are therefore the same. As the Convention requires that all states fix conditions for the registration of ships in their territory, (Art. 91, Para. 1; Art. 94, Subpara. 2(a)) a United Nations conference held under the auspices of the United Nation Conference on Trade and Development (UNCTAD) adopted in 1986 a convention on conditions for registration of ships. One of the aims of this registration convention is of a political and economic nature and related to the topic of �flag of convenience�. The term �flag of convenience� refers to a state which registers foreign-owned vessels, granting the vessel its nationality and the right to fly its flag, giving the vessel the benefit of registration fees, annual fees, and taxes which are considerably less than in other states. In addition to the detrimental effect on fee scales, such registrations can have negative results in terms of social benefits and wages of the crew and the safety standards of the vessel. About 30% of the world merchant shipping tonnage navigates under three to four flags of convenience such as Liberia , Panama , and Cyprus . This situation has long been unacceptable for many developing countries, who believe that it hinders them in their efforts to build up their own merchant fleets, and has been criticized by seamen's trade unions in industrialized countries. The Convention attempts to require a �genuine link� between the register state and the vessel, (Art. 91, Para. 1) but does not go into detail. However, the Convention does permit a ship sailing under two or more flags according to convenience to be assimilated to a ship without nationality, (Art. 92, Para. 2) depriving such a vessel of the protection of any state. (Art. 92, Para. 1; Art. 110, Subpara. 1(d)) The meaning of a �genuine link� is described by the UN Convention on Conditions for Registration of Ships, 1986, which requires participation of nationals of the flag (register) state in ownership, manning, and management of the vessel. The register state may choose between �manning� and �ownership�, but at least one of these conditions must be met. � Indonesia has always considered its land, water, and people to be inseparably linked to each other; the survival of the Indonesian nation depended on the unity of these three elements�. Indonesia in 1957 and the Philippines in 1961 had passed laws declaring the waters between the islands to be inland waters. The following countries already apply (or might be interested in applying) the archipelago concept: Indonesia, Philippines, Tonga, Fiji, Mauritius, Bahamas, Papua New Guinea, Madagascar, West Samoa, Maldives, and Micronesia (non-exclusive list). 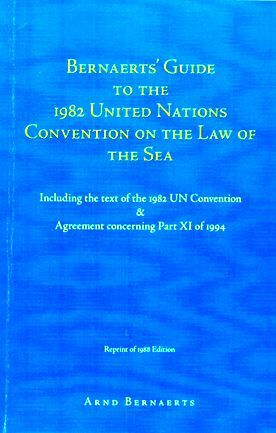 on the question of free access to the sea of land-locked countries, with a report on the special problems of land-locked countries relating to the exploration and exploitation of the resources of the sea-bed and the ocean floor. The Convention provides numerous provisions designed to promote and support the growth of developing countries. Three broad themes intended for the benefit of developing states can be found in the Convention: co-operation (a), training (b), and preferential treatment (c). Apart from these broad themes, developing countries which are land-locked, (Art. 124, Subpara. 1(a)), geographically disadvantaged, (Art. 70, Para. 2) or border enclosed or semi-enclosed seas (Art. 122; Art. 70, Para. 2) have only weak preferential access to fishing in exclusive economic zones of developed coastal states located in the same area. (Art. 69, Para. 3; Art. 70, Para. 4; Art. 71) But there is another, small supportive measure by the Convention which cannot be found directly in the text. Some provisions are a compromise between the �desirable standard� and the �obtainable standard�, e.g., in the provision defining the flag state duties which requires only compliance with generally accepted regulations (Art. 94, Para. 5) or for pollution from land-based sources (taking into account), (Art. 207, Para. 4) so that developing states will not be overburdened with excessive investments for the time being. The international governmental organizations can be divided into two groups. One group works on a global basis, as Organs of the United Nations or are related to it in some degree. The latter are basically independent, have constitutions of their own, and states become members only by means of a separate procedure for each organization. The other group is often established only for regional or specific purposes and is open only to certain countries, but such organizations can also have global character. Many such organizations attended the 1973-1982 Conference as observers. (See Appendix to Final Act) The importance of three organizations will be described below. 14. CO-OPERATION - "COMPETENT ORGANIZATIONS"
The Convention provides the opportunity for inter-governmental organizations to become "states parties" to the Convention. (Art. 305, Subpara. 1(f) (306-307); Annex IX, Art. 3) This possibility was implemented under pressure from the member states of the European Economic Community (EEC). This move came about as a result of the fact that EEC institutions have certain powers, such as the conclusion of treaties and the establishment of internal rules in fisheries and in certain pollution matters. The prospect of sea-bed mining gives the so-called "EEC clause" an even more interesting feature. The status of an acceding organization will more likely be that of a principal and agent rather than of a "state party," as a state party remains a "state party to the Convention" regardless of how much competence in matters governed by the Convention (AIX, Art. 1) it might have transferred to the organization, although corresponding rights (e.g., voting) will be affected accordingly. The handling of the "EEC clause" might prove to be somewhat difficult. The European Economic Community was the only inter-governmental organization to sign the Convention.